IT HAS always been something of a puzzle why Cardross, a small harmless village, should so incur the wrath of the mighty Luftwaffe over the night of May 5 1941. 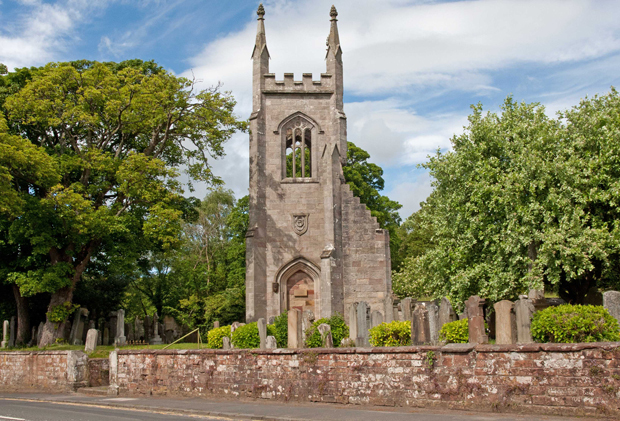 Could the World War Two bombing of the village have happened because of mistaken identity? The suggestion has been made that the Germans might have confused the two places of that name — there is another Cardross near the Lake of Menteith, and there was a munitions dump there during the war. Well-known local historian Ian McPhail referred to this very possibility in his book ‘Lennox Lore’. This explanation appears to present two possibilities: either the German bombers became hopelessly confused with their bearings, and supposed they were near the Menteith Cardross, or they believed that it was the Clydeside one that served as the munitions store. Starting with the first possibility, how likely is it that the bombers got their geography wrong? Ian McPhail stated that in the case of the Clydeside raids, massed bombing formations were guided to their targets by means of highly experienced pilots, known as pathfinders. By preference, nights of a full moon were employed, as these helped show key features like rivers, railways and roads. Both the bombing of Clydebank in March, and that of the Lower Clyde on May 5-6 when Cardross also suffered coincided with a full moon — the so-called “Bombers’ Moon”. Once the pathfinders were satisfied that the intended targets were within reach, they would drop parachute flares and incendiary bombs to highlight the suitable drop zones for the following bombers. There were 386 planes on May 5 and 232 on May 6, so the strike force used was truly fearsome. Over that night, waves of Luftwaffe bombers attacked from several different directions. Some were first detected flying north over Devon, while others, coming in from Norway, used Loch Lomond as a useful landmark. This group was heard passing over the Gareloch in large numbers at 0129 hours by personnel at RAF Helensburgh. It would appear that a number of targets on Clydeside had been selected, but the main targets were the shipping and shipyards at Greenock and Port Glasgow, these being again attacked the following night. While these communities suffered accordingly, other sites in the vicinity would have made attractive targets as well, such as Dumbarton, with Denny’s Shipyard and the Blackburn Aircraft Factory. The ancient capital of Strathclyde did indeed suffer, although it was mainly the civilian population that bore the brunt, rather than the industrial targets. All in all, it seems very clear that the bombers well knew they were over Clydeside. As to whether the attacking force supposed the Cardross they were bombing was a munitions store, that would be difficult to prove or disprove, unless something revealing were to be found in German archives. It also has to be remembered that aircraft sometimes jettisoned bombs before heading back to base, or were simply off target, resulting in bombs ending up almost anywhere. However, as over 60 incendiary and high explosive bombs are thought to have been dropped in and around the village, this cannot have been accidental. There are however, several other possible explanations. Elsewhere on this website are accounts of the bombing of Cardross. This includes an in-depth interview with Archie McIntyre, son of the owner of the sawmill in the village, and aged 16 at the time. Archie relates that while he always found the whole episode a mystery, there was a local belief that the greens of the golf course might have been mistaken for oil tankers, as seen from the air. Another plausible suggestion is that the Germans could have had their bearings moderately mixed-up, and confused Ardmore Point with Dumbarton Rock. The area around the Rock did contain some key sites. As it turned out, Denny’s Yard suffered greater damage at the time of the Clydebank Blitz, while the Blackburn Airtcraft Factory took several hits, but limited destruction resulted. A Blackburn employee later recalled seeing an unexploded land mine hanging by its parachute from the roof — he reckoned that if it had detonated, it was likely that the factory would have been destroyed. Dumbarton did however witness death and destruction when the bombing took place, but mainly among those at home. There is yet another explanation, and this may well be the leading contender. It centres on the art and science of deception. Attempting to confuse and mislead the enemy is a wartime strategy doubtless as old as warfare itself. In the case of anticipated bombing raids on Clydeside, a whole series of upland sites around built-up areas were identified and rigged up to fool would-be aerial attackers. For example, a number of bogus sites were created in the Kilpatrick Hills, above Dumbarton and Clydebank. Similar installations were constructed behind Greenock, and yet others established to help protect Glasgow, Paisley, and other big population centres. Some of these, known as ‘Starfish’ sites, sought not only to mimic the lights of shipyards etc., but in the event of an attack, were organised to trigger the lighting of fires, intended to replicate incendiaries and their effects. Originally developed by the Army, in association with people from the film industry, such sites were originally known as ‘Crashdeck’. Special effects also featured the regulated spraying of burning coal with paraffin — these were known as ‘repeaters’. Simulated oil fires were created by setting fire to drums filled with creosote. Some decoy sites could even be built to resemble the lay-out of airfields, where car headlights could be drawn along wires to resemble aircraft landing lights. These sites were manned by military personnel. But how successful were such diversions? Statistics seem to show that in fact they must have played a big part in protecting life and property. For example, over 90 bombs were dropped on a site behind Maryland Farm, above Dumbarton, and this was acknowledged to have saved many lives. The decoy sites around Loch Humphrey and Cochno Loch are reckoned to have deflected a great deal of bombs from Clydebank and Dumbarton, and succeeded in mitigating the damage to people and property. Significantly, there was a decoy site near Kipperoch, between Cardross and Renton, and this soaked up 205 bombs and six mines during the May raids. Andrew Jeffrey, author of the book ‘This Time of Crisis’, is in no doubt that it was the proximity of Cardross to this site that led to the resulting bombing. Cardross suffered three deaths, and significant damage to property. Per head of population, this was a relatively high toll. But if the decoy sites did indeed greatly mitigate loss of life and limb, the toll on Cardross has to be set in this wider context. The official figures for the Clydebank Blitz showed 528 were killed and 973 seriously injured. However, some people have put the true figure of the Clydebank dead at over 1,200, with 1,100 seriously injured. If this is true, other official figures may likewise be under-estimates. Officially, Greenock and Port Glasgow suffered 246 killed and 290 seriously injured. 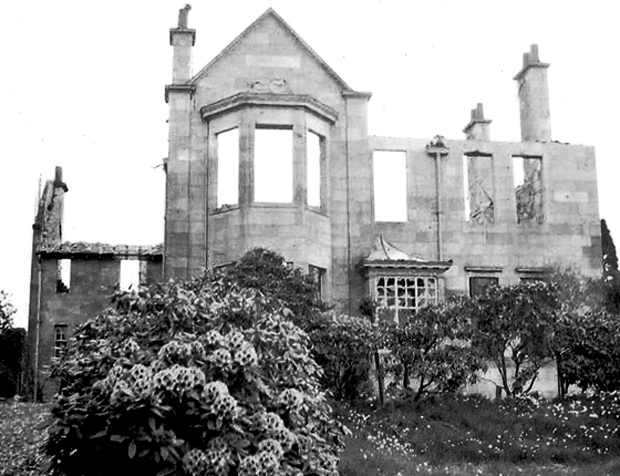 In Dumbarton, the 1941 raids claimed 18 lives, with 22 seriously injured. These figures are appalling. The key question is how much worse might they have been in the absence of the decoy sites?